Celebrate Roger Corman’s Birthday With These 12 Trailers! Today is a very special day! It’s Roger Corman’s 92nd birthday! Here at the Shattered Lens, we traditionally celebrate this day with a special edition of Lisa Marie’s Favorite Grindhouse and Exploitation Film Trailers! Below, you’ll find the trailers for 12 films that were either directed by, produced by, or distributed by the legendary Roger Corman! This western was the first film that Roger Corman was credited with directing. Though Corman worked in almost every type of film genre imaginable, he’s probably best remembered for his science fiction and horror films. This was one of the first of them. 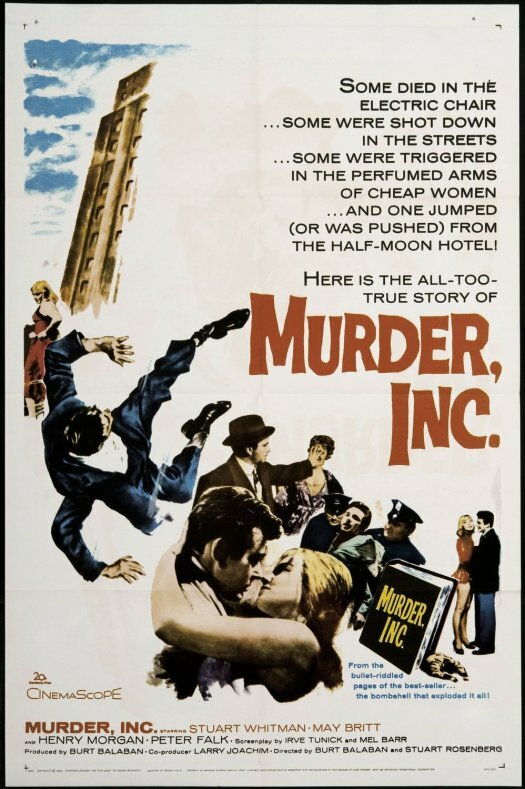 Along with westerns and sci-fi films, Corman also directed several gangster classics. Machine Gun Kelly is remembered as one of his best. Corman was an exploitation filmmaker with a conscience. At a time when other films were avoiding social issues, Corman dove right in with challenging films like The Intruder. Corman was famous for his ability to spot new talent. His 1963 film The Terror starred a then unknown actor named Jack Nicholson. In the 60s, Corman was also well-known for his Edgar Allan Poe adaptations, the majority of which starred Vincent Price. With these colorful and flamboyant films, Corman showed himself to be a pop artist at heart. In the 70s, Corman moved away from directing and focused on producing. His ability to spot talent undiminished, Corman helped to launch the careers of the some of the important directors of all time. In 1972, he hired a young director named Martin Scorsese to direct Boxcar Bertha. While Corman was producing exploitation films, he was also distributing “difficult” foreign-language films that might otherwise have never been seen in an American theater. In 1973, he distributed this classic Ingmar Bergman film. Cries and Whispers was nominated for best picture of the year, losing to The Sting. Jonathan Demme was another director who got his start directing Corman-produced films like Caged Heat. Demme would later thank Corman by casting him in several of his films, including the 1991 Best Picture winner, The Silence of the Lambs. Piranha was one of Corman’s biggest hits as a producer. With Carnosaur, Corman showed that you didn’t need a lot of money to bring dinosaurs back to life. Corman has continued to produce films in the 21st century. Films like Dinocroc vs Supergator not only won him legions of new fans but they also paved the way for films like Sharkando. 110 years ago today, Bette Davis was born in Lowell, Massachusetts. That makes the choice for today’s music video of the day an easy one. Bette Davis Eyes was originally written in 1974 by Donna Weiss and Jackie DeShannon and was recorded by DeShannon. However, it wasn’t until 1981, when the song was covered by Kim Carnes, that Bette Davis Eyes became a hit. It spent nine weeks at the top of the Billboard 100 and was named Song of the Year and Record of the Year at the Grammy Awards. One fan of the song was Bette Davis herself, who sent a note to Weiss, DeShannon, and Carnes in which she thanked them for making her “a part of modern times.” Davis also said that her grandson never looked up to her until he heard this song. The video was directed by Russell Mulcahy, who directed several music videos in the early 80s. The famous silhouette of Davis smoking can be spotted throughout.